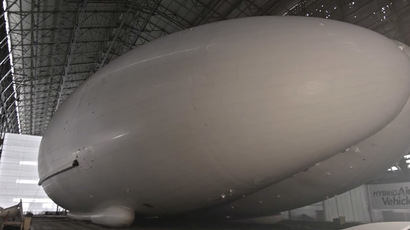 The world’s largest aircraft, compared by some to a giant pair of buttocks, is ready to make its maiden voyage after being officially unveiled on Monday morning. 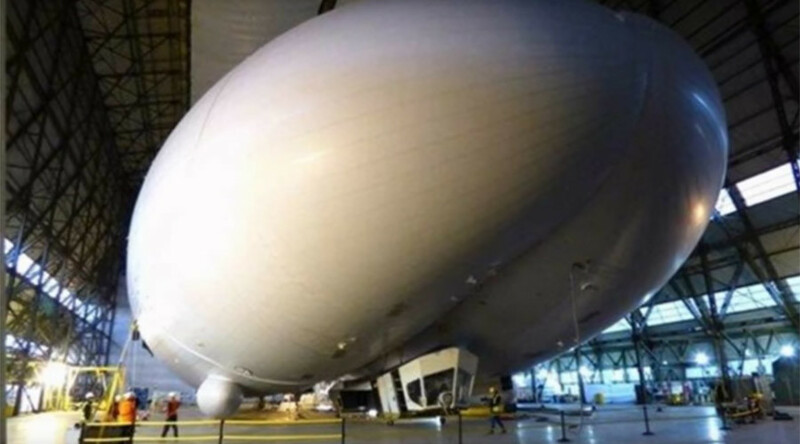 Photos show the “flying bum” (or, officially, the Airlander 10) primed for launch in a World War I hanger in Bedfordshire. The craft is part plane, part airship and part helicopter, and spans a whopping 302ft in length, 134ft in width and 85ft in height. Offering an idea of scale, the craft is 50ft longer than the biggest passenger jets. Chris Daniels, head of partnerships for British firm Hybrid Air Vehicles’ (HAV), said: “This is a fantastic story of British innovation, getting a unique aircraft fully assembled to do something both useful and commercially viable. The gigantic craft has been designed to stay airborne for up to three weeks. The Airlander 10 uses helium to become airborne and can achieve a maximum speed of 148km/h.